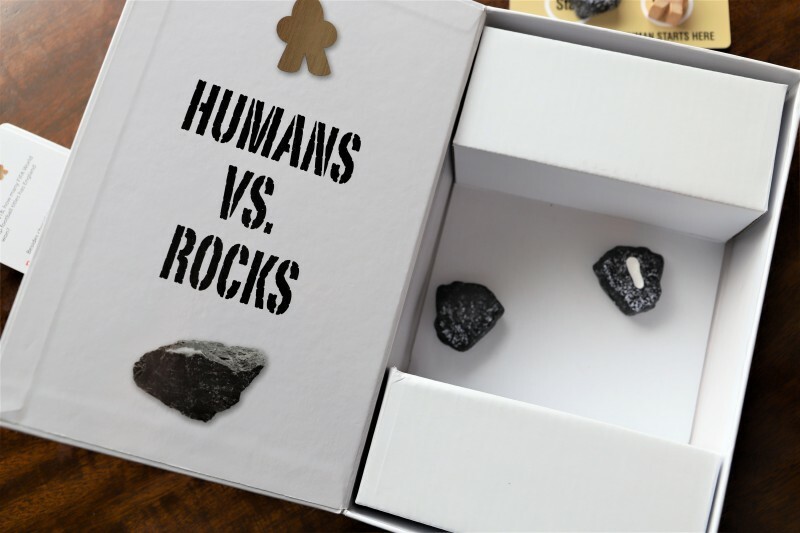 Trivia Game Review + Giveaway: Are You Dumber Than a Box of Rocks? I received a copy of this game at no cost to facilitate an honest review. As always, all opinions are my own. 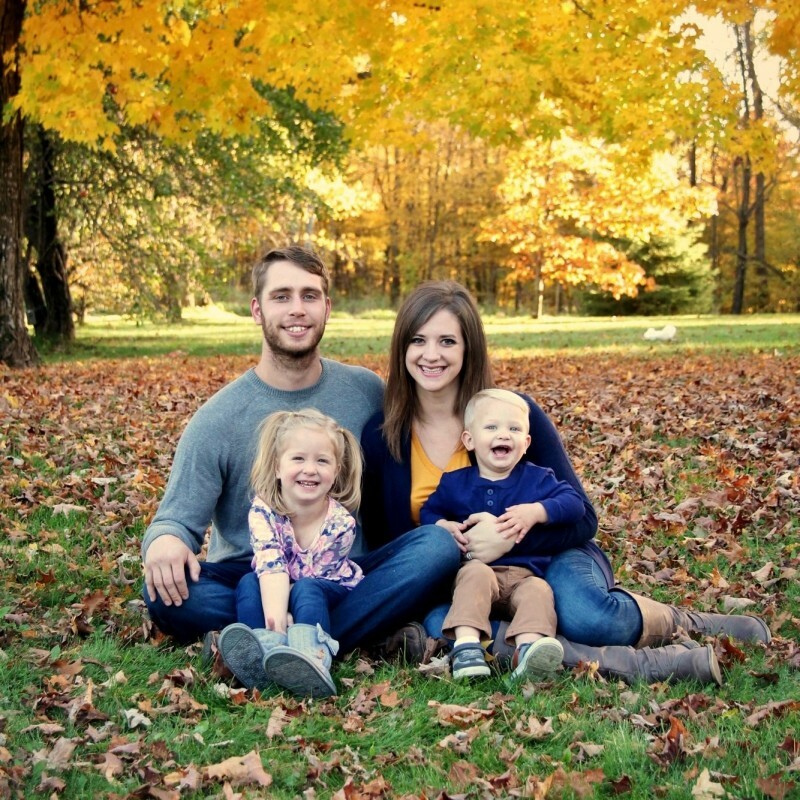 We’re always looking for new and fun games to play as a family! While we have two young kids, we often visit my parents and my siblings come home for long weekends. During these times, we love to play some games when the kids go to sleep each night. Trivia games tend to be our favorites, and we can get pretty competitive! 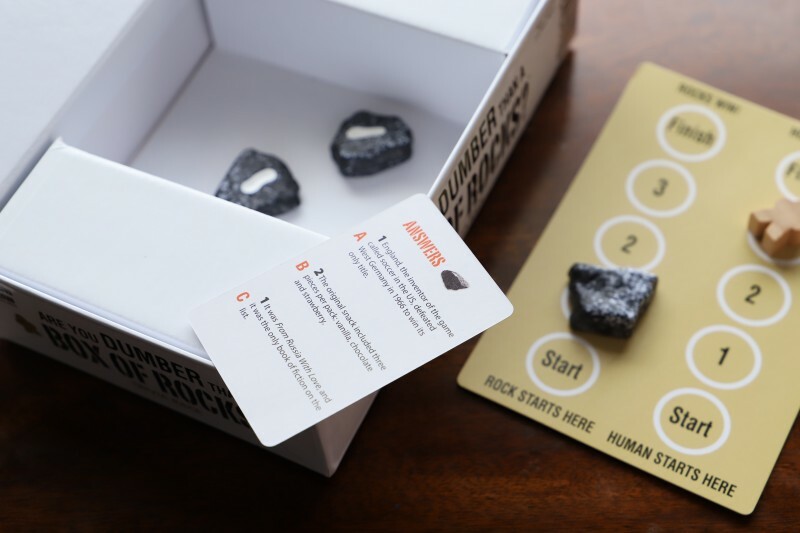 When I heard about the game Are You Dumber Than a Box of Rocks?, I thought it would be right up my family’s alley. While we love to get competitive, the fun thing about this game is that it’s a combination of smarts and a little bit of luck. A reader asks the question and you can work as a team to answer it. All answers are either 0, 1, or 2. Then you shake the box with the rocks inside and view the answer that pops up. If you’re right, the human pawn moves forward. If the rocks are right, the rock moves forward. Whoever makes it to the finish line first wins, and then you’ll know if you’re dumber than a box of rocks! HA. We’ve played it quite a few times now, and our young kids like to put in their guesses when we have no idea on an answer. I’ll be honest, we did get beaten by the rocks one time-embarrassing! Some of the trivia is pretty difficult, though you always have a 1 in 3 chance of guessing correctly! I’m looking forward to bringing this up to my parents for our next family gathering, as I’m sure everyone will get a kick out of it. It’s rated for ages 12+ and I think you can get any age kids involved if they can take guesses from 0-2. 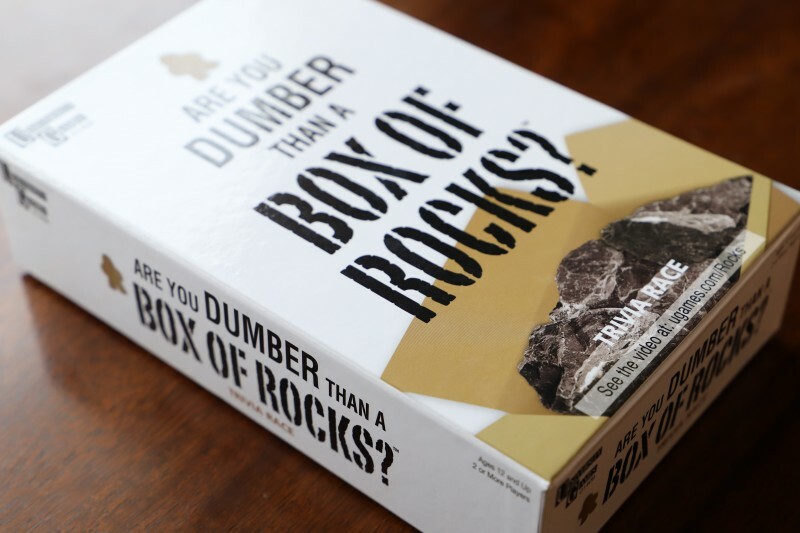 Buy it: You can purchase Are You Dumber Than a Box of Rocks from Amazon or Wal Mart! 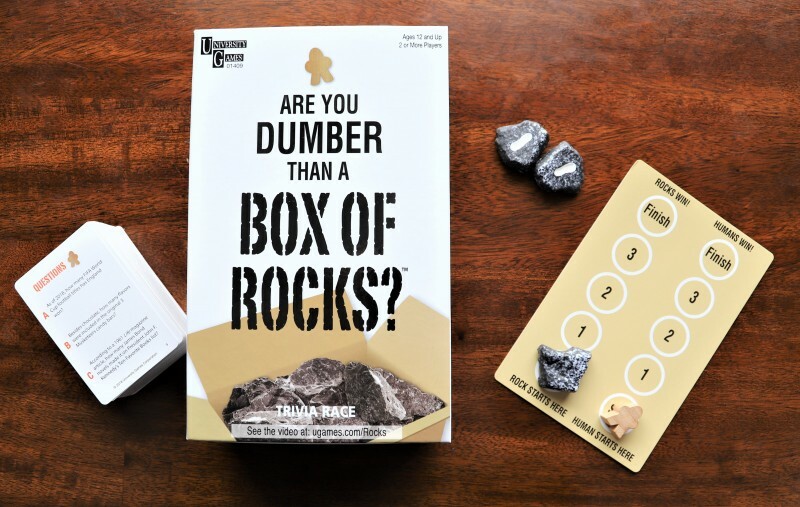 Win it: One reader will take home a copy of Are You Dumber Than a Box of Rocks? This is a US giveaway ending 2/11. Enter using the Giveaway Tools form below, and good luck! This game would definitely aide me in understanding my intelligence and capabilities! I love trivia and geology and games! I need this! Looks like a fun game. Sometimes I can be dumber than a box of rocks. This looks like a super fun game. This would be great to play. Than I could find out if I really am Dumber than a rock!